IITA organized a planning workshop for the 2017–2018 financial year for the project ‘‘Action to control the Cassava Brown Streak in the Democratic Republic of Congo’, 29–30 August, in Kisangani, Province of Tshopo’’. This workshop was followed by another one on the ‘‘Harmonization of standards for production and distribution of healthy cuttings of cassava’’ held 31 August–1 September. The first workshop was moderated by the IITA Country Representative in DRC, Nzola Mahungu. It aimed to review the activities planned and approved at the first planning workshop held in Mbanza-Ngungu in April 2017. The workshop also planned activities for the coming 2017–2018 season, and defined the indicators for the evaluation of the project. The second workshop discussed the harmonization of standards for the production and certification of planting materials. 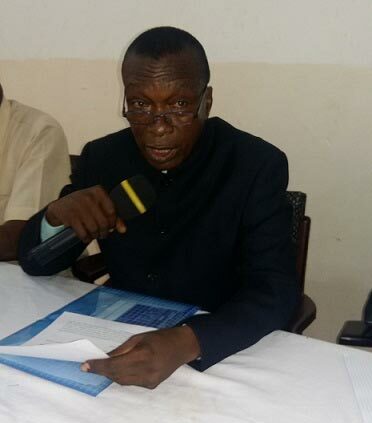 Dr Liyeye, Provincial Inspector of Agriculture, Fisheries and Livestock for the Province of Tshopo, opened the program, saying that cassava brown streak is the most dangerous disease of cassava, even more than cassava mosaic, since it attacks the most economical part of the plant—the tuberous root. He welcomed the workshop in Kisangani, through which IITA’s activities, together with other partners in the cassava sector, will help alleviate the severity and spread of the disease. Liyeye said that the provincial government of Tshopo encouraged this initiative and gave reassurances of its full support in its implementation. All the specialized services of the Province would take into account the conclusions and recommendations of the meeting in its development program. Several participants took part in the workshop, including the representative of USAID and representatives of the Ministry of Agriculture, National Seed Service (SENASEM), and researchers from IITA-DRC (Kinshasa and Bukavu), the National Institute for Agricultural Studies and Research (INERA), and the Universities of Kinshasa and Kisangani. Other partners included the FAO, HarvestPlus, the WAVE Project, the Tshopo Agricultural Support Project (PRODAT), and the Integrated Program for the Rehabilitation of Agriculture in Maniema (PIRAM), and some members of the private sector, including agri-multipliers. Dr Nzola Mahungu, IITA DRC Country Representative, explaining the workshop objectives. The Cassava brown streak disease project (CBSD-Project) in the DRC is funded by USAID to the tune of US$4.6 million over four years and will operate throughout the country from pilot provinces including the Central Kongo, Tshopo, South and North Kivu, and Kasai/Lomami.